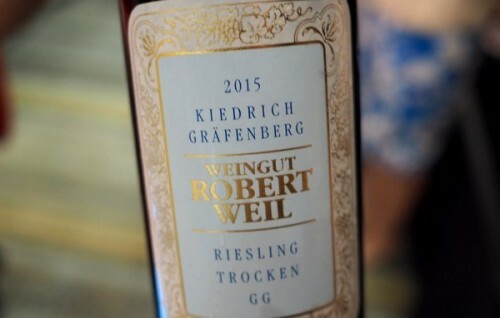 This TexSom tasting focused on Grosses Gewächs: these are wines produced from top vineyard sites in Germany by members of a high-end producers club called the VDP, which began life in 1910. 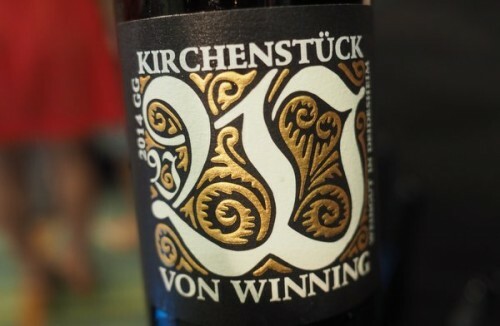 As with all things to do with German wine, things are complicated, and explaining the details of how the VDP’s vineyard classification isn’t a simple business. VDP stands for Verband deutscher Prädikatsweingüter (which translates as the Association of German Superior Quality Wine Estates). Fortunately, it’s simply abbreviated as VDP. There are around 200 members (you get invited to join after expressing an initial interest), and each member is reevaluated every five year. It’s an elite grouping when you consider that Germany has 30 000 winegrowers. Only the first two tiers are allowed to mention the vineyard name on the label. So a Grosses Gewächs (GG) is a top wine made from a Grosse Lage by a member of the VDP. These wines have to be dry (under 9 g/l residual sugar), and they are the wines we tasted in Wiesbaden. There’s one more layer of complexity: for each region, only certain varieties can make GG wines. If you see GG on a bottle, then you know it is pretty serious, and that it’s made in a dry style (trocken) from a top vineyard site. In some ways, this classification is an attempt to recover what was lost with the German wine law of 1971, and amalgamated 30 000 sites and consolidated them into 3000 accepted vineyards. At this time, quality was defined by must weight. This lost a lot of the differentiation of interesting terroirs. 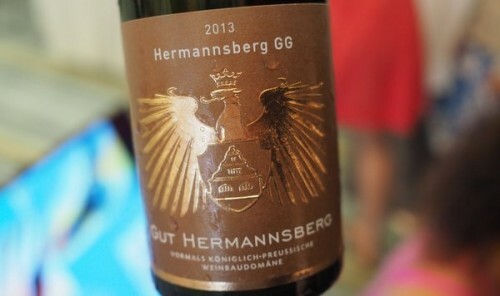 Gutswein is high calibre entry level wines and come from an estate’s holdings. Ortswein comes from the villages best vineyards, but ones that aren’t higher graded. Other varieties can be used. 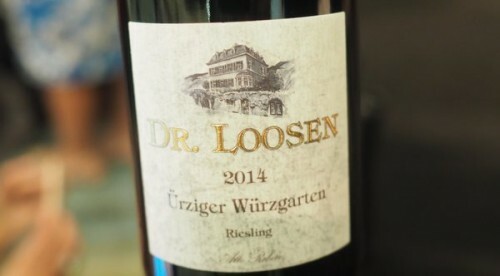 Erste Lage comes from a premier cru vineyard as designated on the old maps. Maximum yield is 60 hl/ha, and only traditional varieties are allowed. The Ahr, Mittelhein, Mosel, Nahe and Rheinhessen don’t use this classification. They go from Orswein to Grosse Lage. Grosse Lage is grand cru equivalent, with traditional varieties and maximum yield of 50 hl/ha. VDP Grosses Gewãchs is the name for a dry wine from this site, and each producer can only produce one GG from each site. To illustrate how confusing German wine can be, one of the wines included in this tasting labelled in the tasting sheet as a Grosses Gewächs actually isn’t. Louis Guntrum in the Rheinhessen isn’t a member of the VDP. But owner Konstantin Guntrum thinks his Hipping holdings are GG standard, so he trademarked the name ‘Louis Guntrum Grosses Gewächs’ which he uses on the label. It’s a subtle and naughty move that even confused the organizers of this tasting.